Hey everyone! 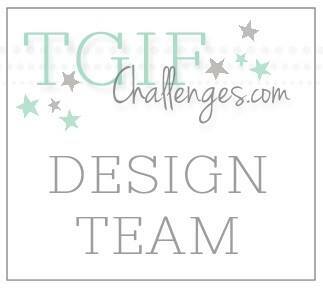 There is a new card challenge over on Catherine & Cathy Create today. This month's challenge is food. Instead of putting food on my card, I decided to make a card to put on food. I love being able to hand out little treats; it always makes everyone's day! 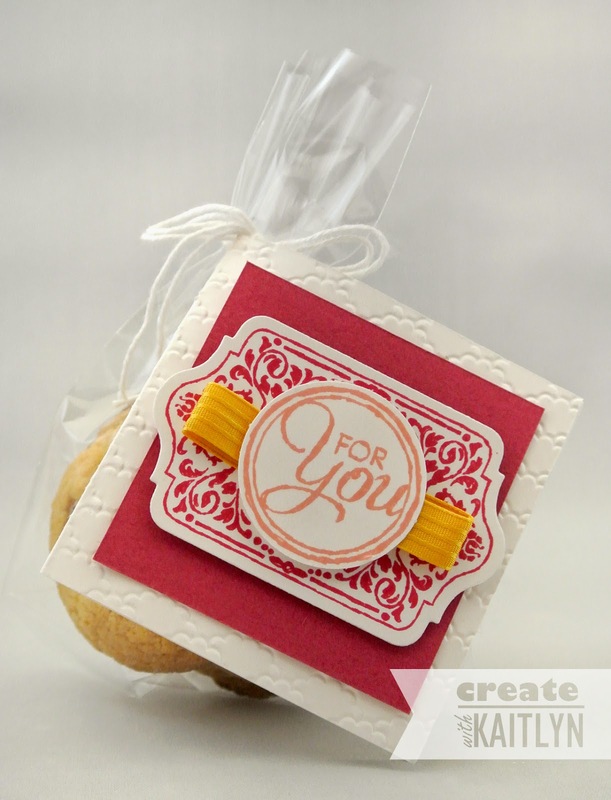 So for this bag of cookies, I made a little 3"x3" card instead of a tag. To attach it to the bag, I just punched a hole and tied it with some White Baker's Twine. 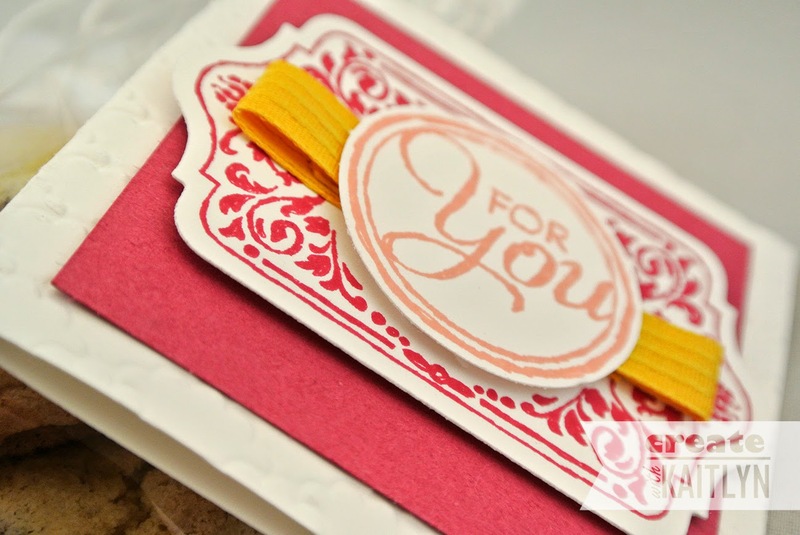 This card turned out to be really delicate and pretty with a color scheme of Rose Red, Crisp Cantaloupe, and Hello Honey. I really love the Chalk Talk stamp set, but I just don't use it enough. The "For You" was perfect for the treat, and I just layered it on some Hello Honey Stitched Satin Ribbon and the frame image. What made this card so fast was using the Chalk Talk Framelits and 1-3/8" Circle Punch to do all my cutting. No fussy cutting here! The great thing about the card instead of a tag is that there is a space to write a message. 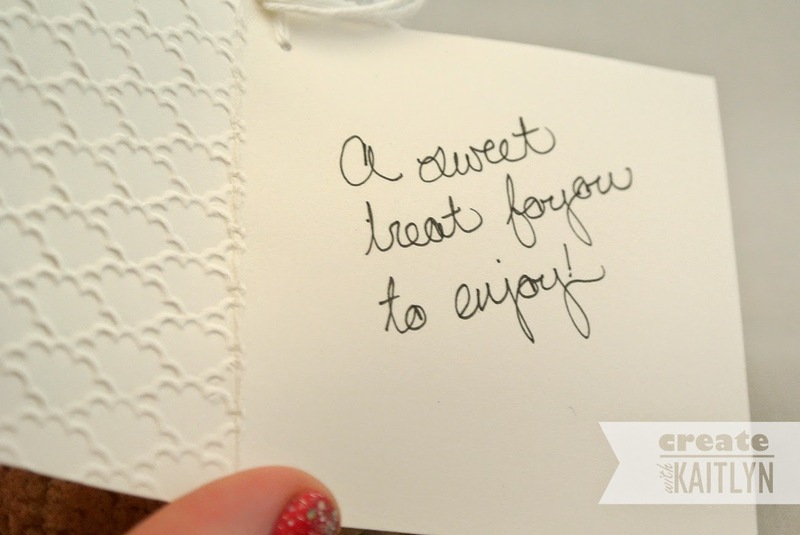 A handwritten message always makes a card more personal and special! 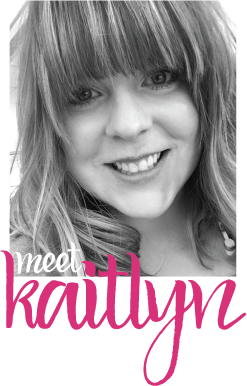 Now head on over to Catherine & Cathy Create to join the challenge!